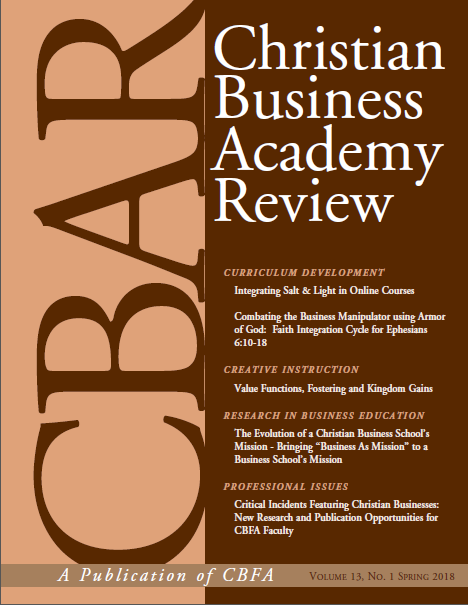 The distinctiveness of Christian higher education and the positive outcomes of integrating faith and learning has been a continuous publication topic. With recent technology advances and increasing demand for distance learning, Christian professors are now searching for effective ways to integrate salt and light into their online courses. This article will address two topics. First, it reviews scholarship to discern whether professors not only have a spiritual calling but also a professional obligation to educate in a manner that is broader than discipline alone. Second, it offers best practices for integrating salt and light into online higher education business courses.